I forgot how much I hate doing chores in the pouring rain. The animals are scared of me, since they’re not used to seeing me in anything other than my signature Swamp People t-shirt. Apparently my bulky rain jacket and camo hat frightens them. Tonight I spent an hour wrangling chickens in the storm; they must have a bit of vampire blood in them because they refused to cross running water, which was cascading in rivulets all over the pasture. I wanted to put them up in the coop early so I wouldn’t have to get sopping wet twice, and they were having none of it. Since chasing them while screeching, “Don’t you want to be warm and dry??? ?” didn’t work, I resorted to pouncing on them when they looked the other way. Challenging work, but I won. Eventually. 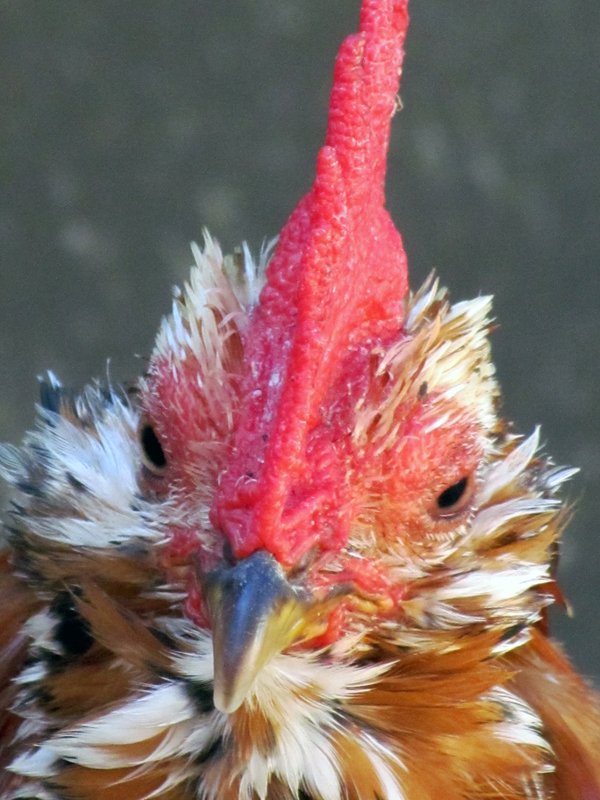 And about five minutes after I shut the coop door, it stopped raining. We did have sun for the official first day of fall though. I celebrated the occasion by pushing the first pumpkin of the year off the deck, which exploded into stringy goodness down below. 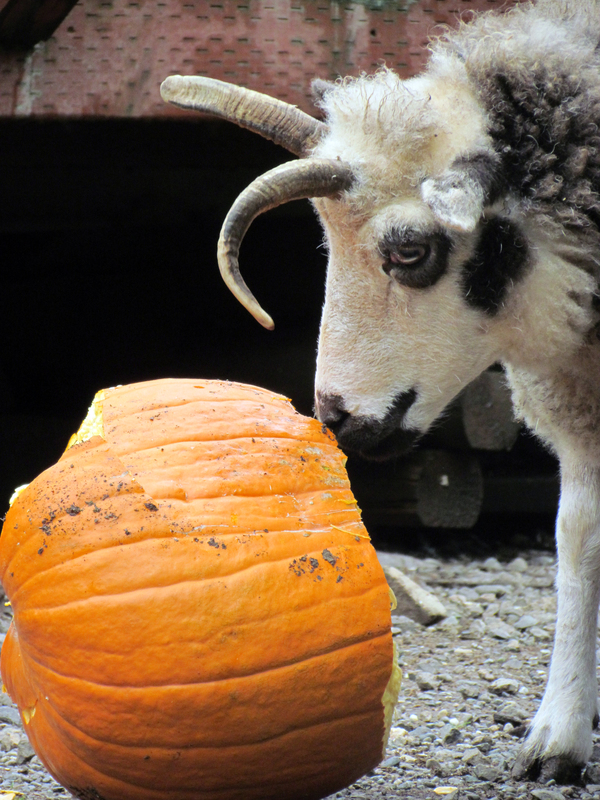 Woolimina was particularly happy – she enjoys squash almost as much as watermelon. It’s almost time to open up the garden for the chickens, I just have to wait until my hot peppers ripen. The Trinidad Scorpions are turning a most alarming shade of red, and the Ghost Peppers are a searing shade of orange. I’m going to give them a few more days, then harvest everything. I’m a little worried about putting them in the dehydrator, because I fear the resulting pepper cloud might make the house uninhabitable. I figure I’ll cross that bridge when I come to it. Prompted by the changing season, I decided a little redecorating was in order. The chickens had been asking for privacy curtains in the coop for quite some time, so I finally gave in. I cut up white feed bags, and stapled them to the nesting boxes with the logo facing out, which makes for cheerful pops of color in the otherwise beige coop. 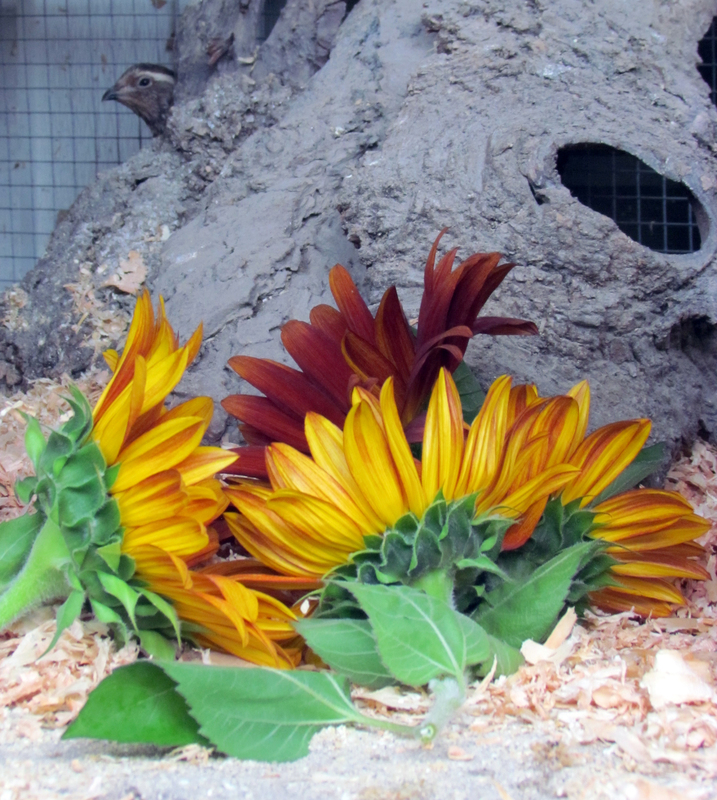 I also rearranged the Quail Sanctuary, and gave them some sunflower heads as a special treat. They hate when I invade their space, but as soon as I shut the door they were all over them.